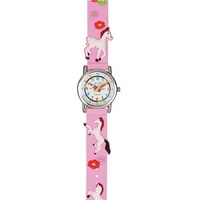 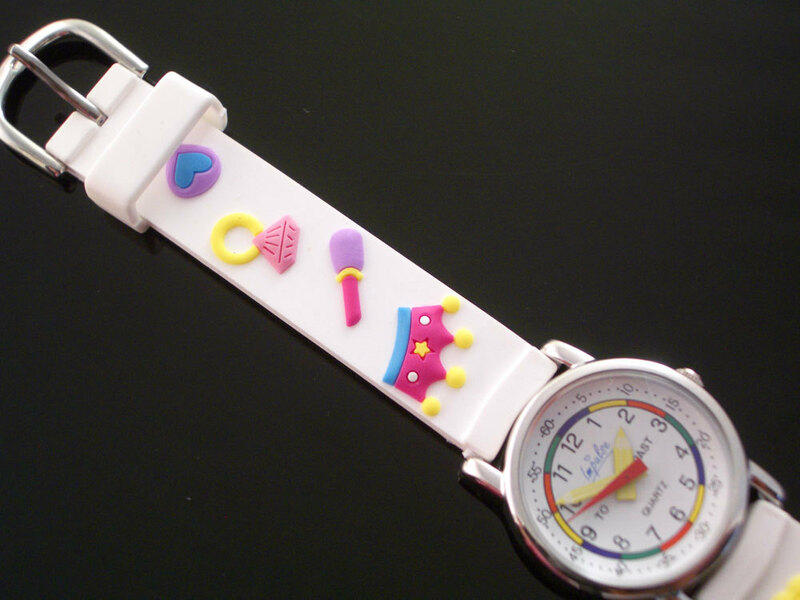 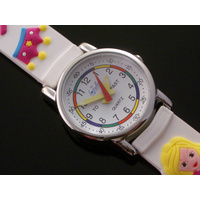 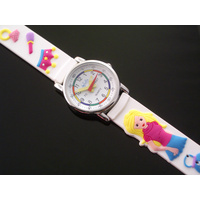 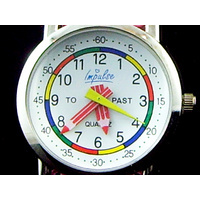 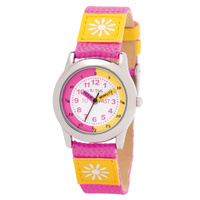 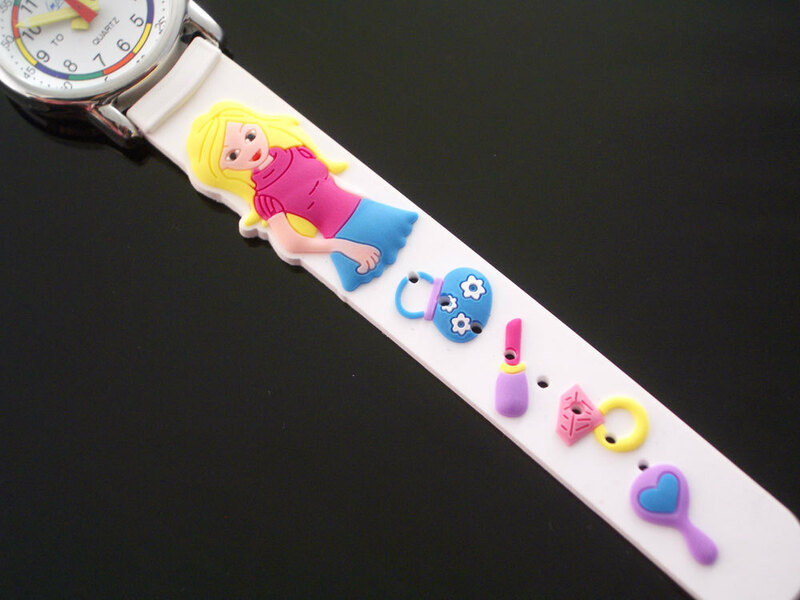 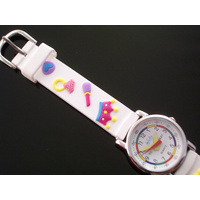 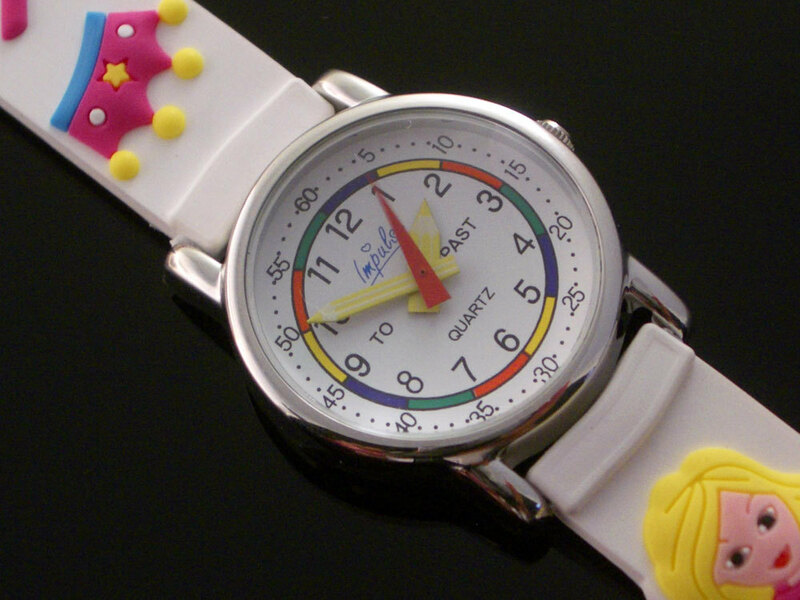 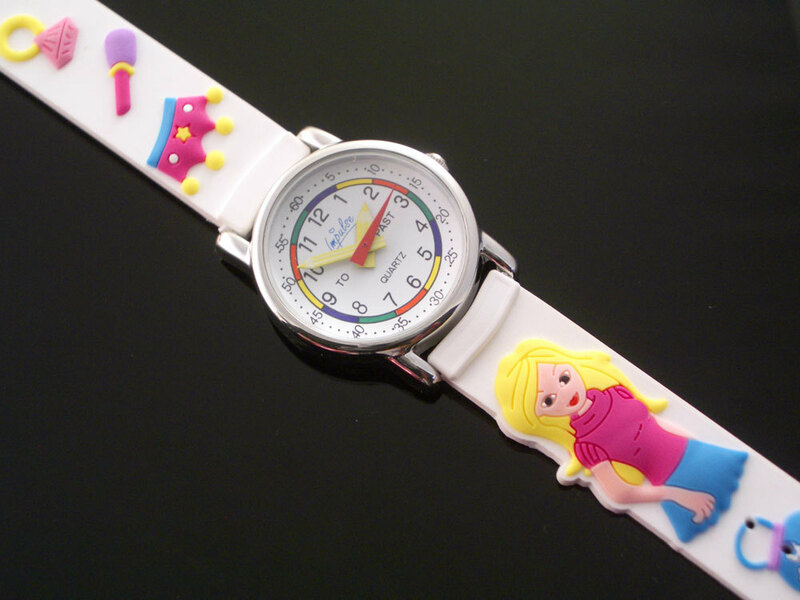 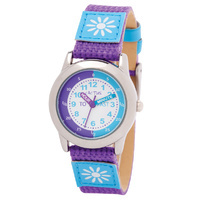 Today's Princess Watch is a Time Teacher - designed to assist kids in learning how to tell time. 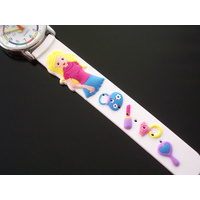 The watch band is very soft easy to clean bendable rubber. 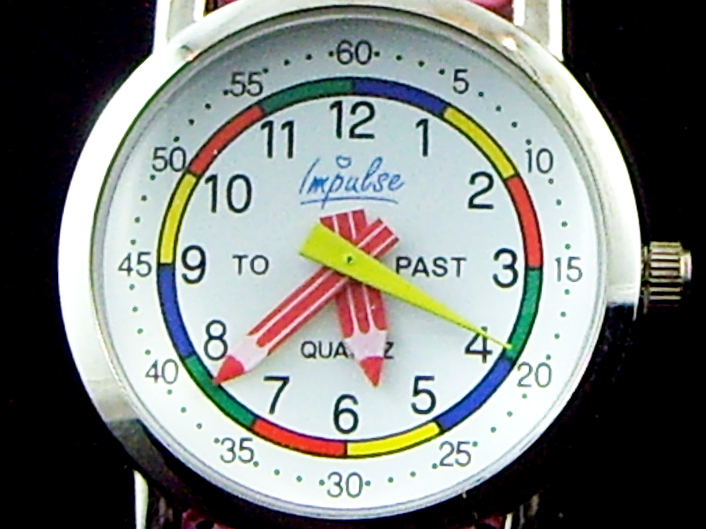 Red Pencil Hands, this Kids Teaching Watch now has Red Pencil Hands not the yellow hands as shown in the photos.